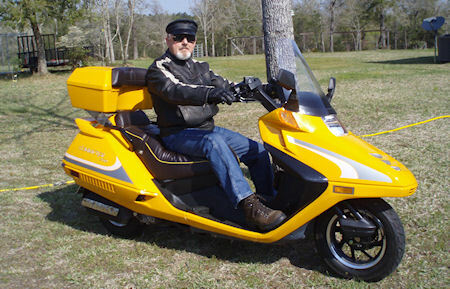 Sam Ruple loves his QLink Commuter 250 scooter and his Suzuki Burgman 400! My Story: Scooting is really great fun. When I get a pretty day, even in the winter, I will jump on one of my scooters and head out. I have several rides mapped out around Knox county that give me a thirty to forty five minute ride. These little rides refresh my spirits, clear my mind and put a smile on my face.